I first came upon this cassette at Djadje’s market stall at the Grand Marché in Niamey in 2014. The tapes were not for sale (Djadje sells dubbed copies) so I spent the good part of a day sitting on a wooden bench in the crowded market, digitizing with a cheap walkman and ZOOM. The results weren’t pretty. Someone’s cellphone, probably my own, was sending radio interference, and the tape was distorted with staccato noise. When I heard it, I was already thousands of miles away. A few months ago, while back in Niamey, I did like any good video store patron in 1993 and left a friend’s driving license and a hefy non-refundable deposit. We brought the tape to France, digitized it, and returned it to Djadje in a months’ time. Djadje was surprised to see the tape again. And for good reason. The tape is rare, the only copy I’ve ever seen. 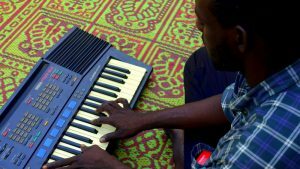 The recording comes from a school group from the village of Tudu, in the region of Agadez, led by a guitarist and professor Barmo. 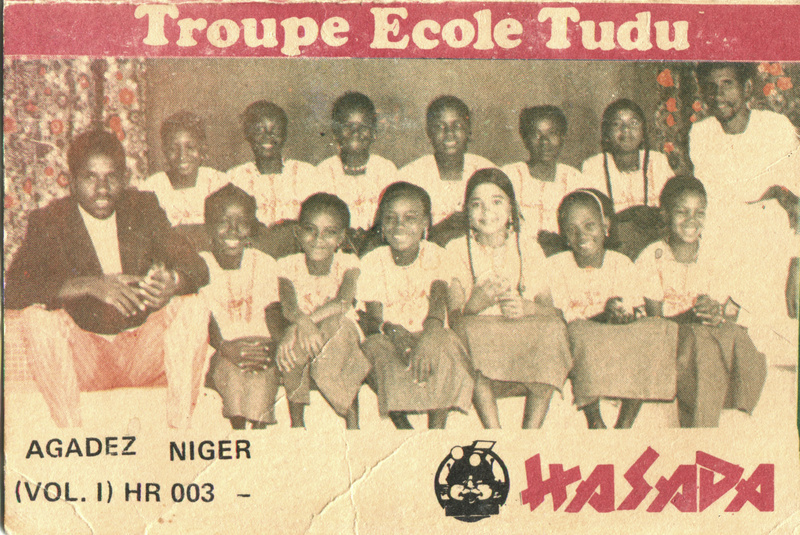 The style that would become a popular in Niger throughout the 1980s and 90s, with many similar schoolgirl groups, like the one in Tchirou (and what would go on to form the basis and genre ofÂ Sogha Niger). The guitar playing is minimal, recalling early Ali Farka Touré, answering and mimicking the lilt of the song. The cassette also stands out with the mysterious logo and catalog number – “HASADA” – maybe something only I would obsess over. 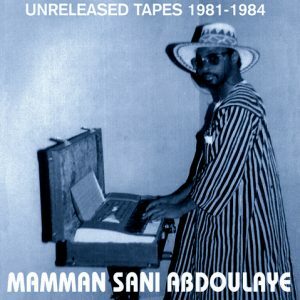 But the only other cassette from the label I’ve found was Mamman Sani’s first and signature recording that went on to become the re-releaseÂ La Musique Electronique du Niger. Rumour has it that Hasada was from Nigeria, and made a few of these tapes to distribute around Niamey. He had a good ear, whoever he was. The track here “Oyiwa” refers to the Tuareg greeting “O-yi-wan.” It’s an old song, from the colonial years, and implores parents to send their children to school. The performance on this tape is some 30 years later, somtimes in the 1980s, but the message is the same. And it makes a convincing argument for education, if it can turn out music like this. I’ve reached out to Barmo and some of the surving members of the Troupe and will share more as I find out. Thanks so much for sharing this. Will you be posting the tape in full? That’d be fantastic. Beautifull song. 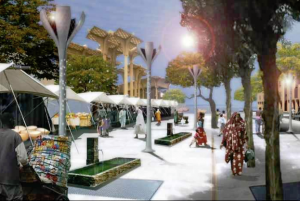 And i remember Niamey too well, because we were almost killed by the gards in front of the presidents palace. One of the best places on earth was for me the camping site along the Niger river. Whole day the radio gave us the best traditional music i had ever heared (it was 1980) and opened my ears and my heart to African music. Thanks for tis post en hopefully you’ll make us even more happy in the future with more of this mysterious old tape. Thank you so much for this. It brought tears to my eyes in the early morning hours.